How To Get Back Recent Closed Tabs In Mozilla Firefox? 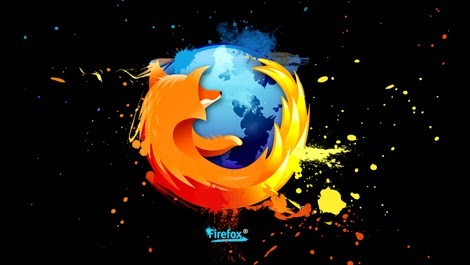 Home > Tips and Tricks > How To Get Back Recent Closed Tabs In Mozilla Firefox? As we know, Mozilla Firefoox is the greatest web browser. Its developers are always working to let their users more flexibility in browsing. Sometimes we open many tabs to find or research our search quest and suddenly you realize that an important tab closed by you accidentally then do you know how to undo the tab? Mozilla Firefox has a easy option to undo deleted tabs instantly. SEE ALSO: How to Delete Facebook Search History? 1. After closing your tab accidentally, Right click your mouse on any open tab. 2. 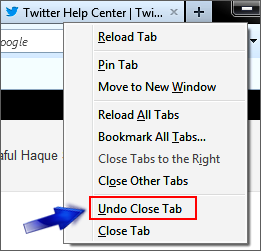 Click Undo Close Tab from the drop menu to reopen your most recent tab that you have closed. Note: Clicking Undo Close Tab one after one will reopen your additional closed tabs from most recent to last. That's all friends. Hope you like the handy tips on this blog. If you would like to read any other articles then leave your opinions in comment below. Allah Hafez and please pray for my family.